We’ve explained many times that macarons are not to be confused with macaroons, the latter being a flour-free, gluten-free, generally chewy coconut cookie that’s a favorite treat to finish off your seder. This being Passover season, it’s a perfect opportunity to try some fun macaroon variations with the kids right now, whether you observe Passover, you’re baking for a friend who does, or you just really like macaroons! Each of these also happen to make amazing host/hostess gifts, should you be lucky enough to score a seder invitation somewhere else, this year. Just be sure to double-check each recipe if you’re observant, and keeping kosher for Passover. Related: 5 of our favorite Passover desserts to enjoy any day of the year. If you want to start with a basic recipe that goes a step beyond basic, this macaroon variation from Danielle Kartes is Food 52 Test Kitchen-Approved, and that’s good enough for me. The editors describe them of having more of a “rounded richness” and a little more savory complexity than your classic macaroon, thanks in part to the browned butter, the sugars from the coconut and the sweetened condensed milk, and the fleur de sel which all combine to become caramel-like. Yum. 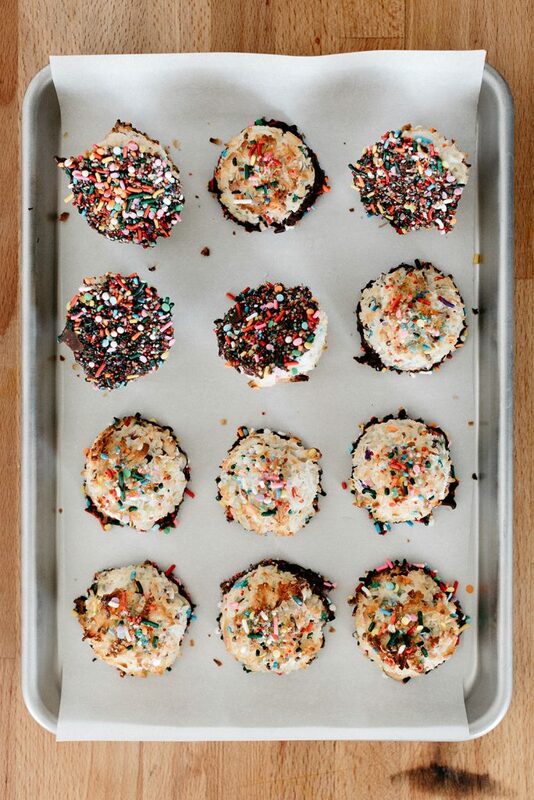 Molly at My Name is Yeh is one of my food blogging favorites, and here she’s taken a page from the Funfetti handbook with these festive creations. (Is there a Funfetti handbook? Well, likely a Pinterest board or twenty. But I digress.) 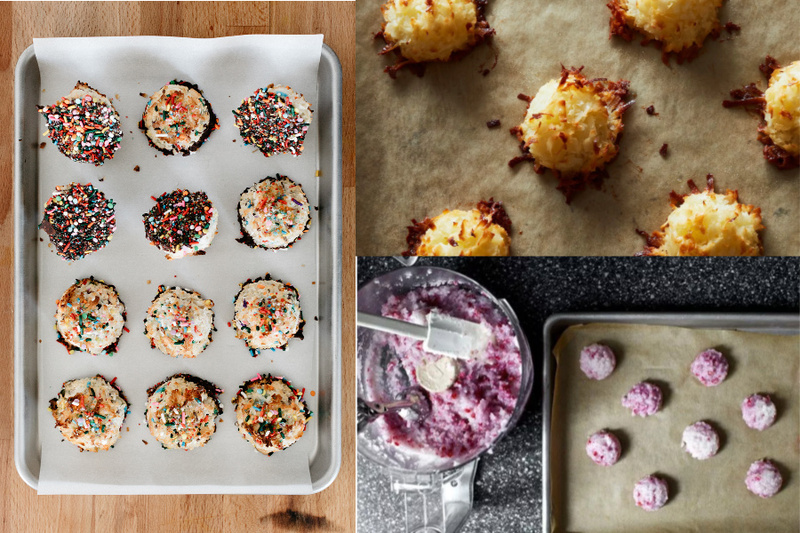 She uses just 7 ingredients besides the sprinkles to create the kind of macaroons that should make every fidgetty kid at the seder feel like the long wait time for dessert was worth it. Plus, she offers some truly helpful tips for all sprinkle-flavor desserts. Like, I never knew that clear imitation vanilla extract offers the most authentic old-fashioned birthday cake flavor and keeps the batter bright white. See? She’s the best. We’re all big fans of Maria at Two Peas and Their Pod, who seems to be as obsessed with salted caramel as I am, judging from her recipe index. So of course she’s created a macaroon recipe that’s finished off with a salted caramel sauce, before dipping the bottoms in chocolate. At least if you’re from the “more is more” school of cookie baking, and when it comes to a little extra chocolate, I definitely am. While there are tons of “dip your macaroons in chocolate” recipes out there, I love that this just makes everything a little more fun. More into fruity flavors than chocolate or caramel? I hear you! 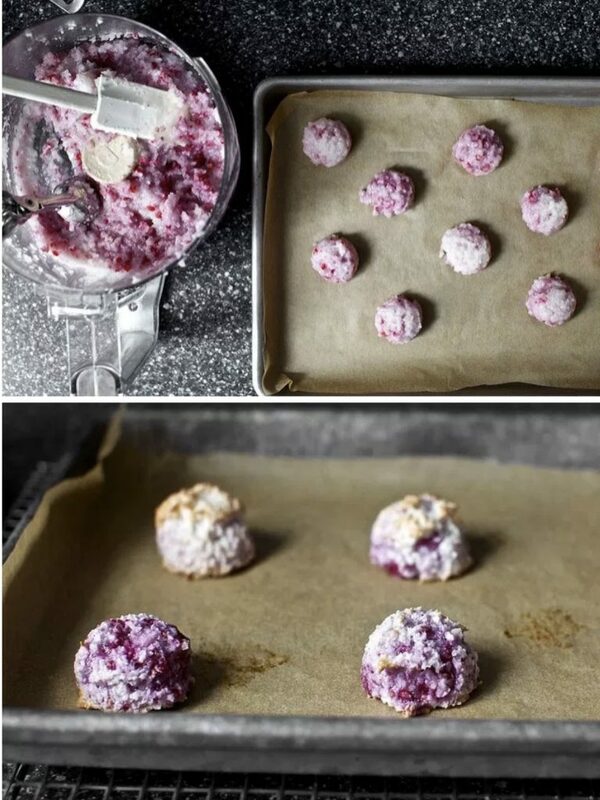 Deb at Smitten Kitchen has long been my go-to for smart, tested, sophisticated recipes for real life, like these raspberry macaroons that skip the chocolate and instead go for the optimal sweet-tart balance. 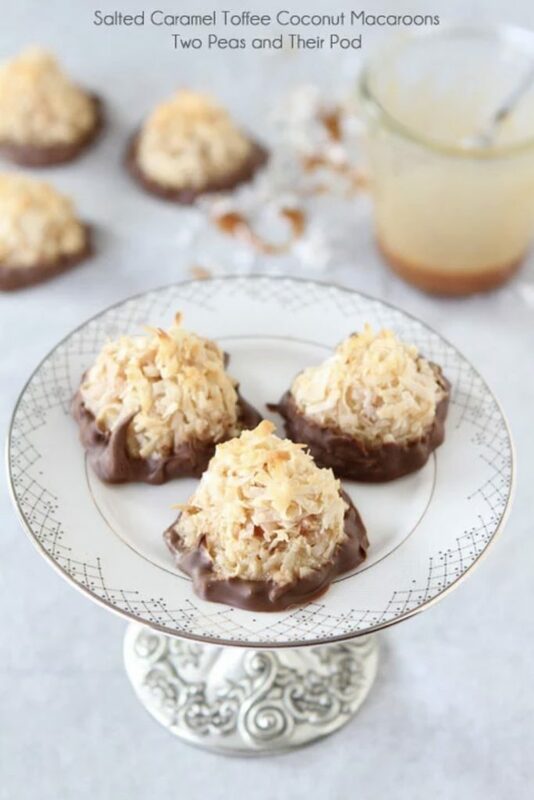 She offers terrific tips, like grinding the coconut in your food processor to make the resulting macaroon more delicate and even — making this a recipe that even macaroon naysayers might find delicious. Plus, her writing is simply delightful; while there’s a lot of CAN YOU PLEASE JUST GET TO THE RECIPE complaints about food blogs these days, I always love reading her prose, which sneaks in plenty of great hacks and cooking tips among all her humor. Melinda Strauss at Kitchen Tested is one of the best Jewish food bloggers out there, and in fact, she’s created one of our all-time favorite brisket recipes. 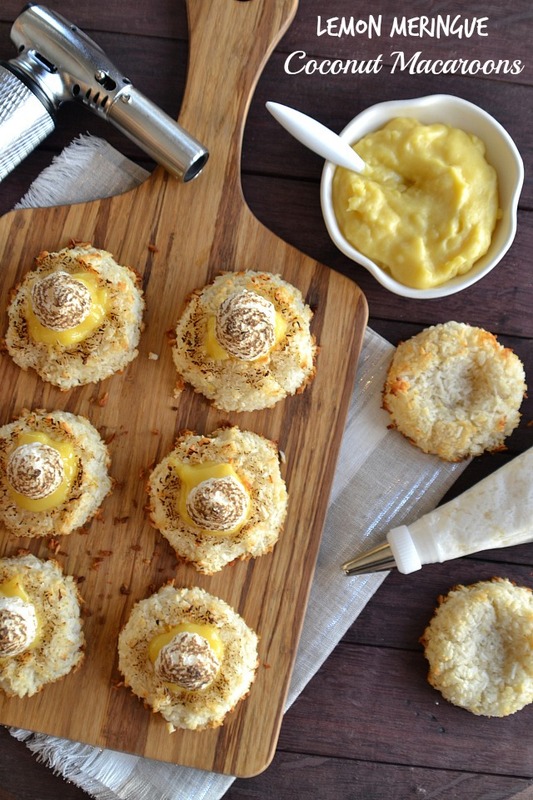 So we turn to her for a good macaroon variation, and of course…we find it in this luscious lemon variation. It’s not what you’d call a simple recipe, but it is wildly impressive. If you want to finish off your meal with a macaroon that’s more like it’s own spectacular little tartlet, you have to check out this recipe. 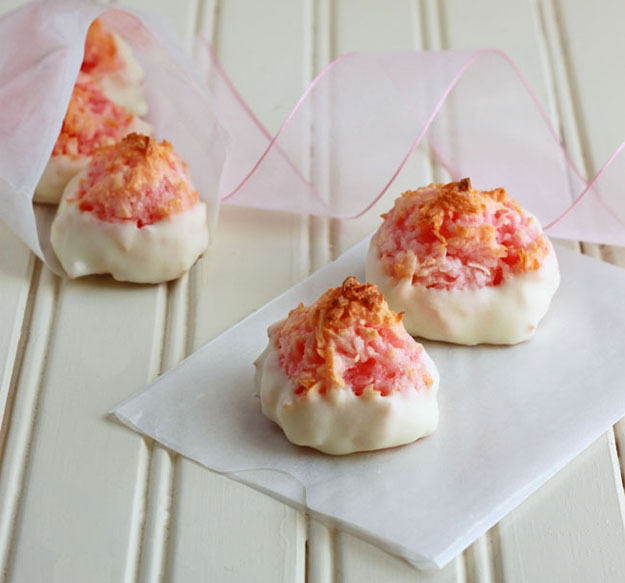 For something more on-trend traditional (okay, so a lot on trend), try this simple macaroon variation from Dessert for Two, which requires adding a single drop of red food coloring to the recipe, before dipping in white chocolate. Of course you could add the food coloring to the white chocolate instead, if you want to go in that direction. Are they adorbs? Totally. The kids will love them. And my Uncle Howard wouldn’t turn them down, either. Wait — I know that this recipe doesn’t have the word macaroon in it, don’t let that dissuade you! 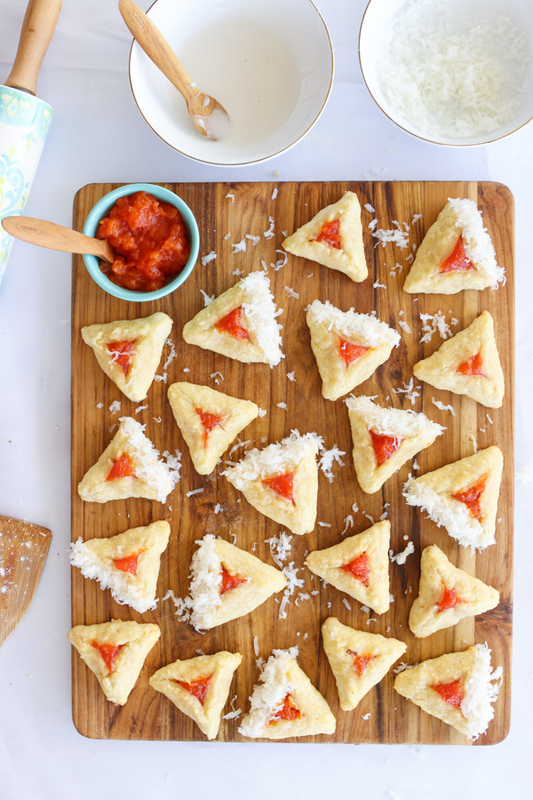 Anna from What Jew Wanna Eat has created what she calls a macaroon-hamantaschen hybrid, combining Passover’s two most popular desserts, and she gives it a tropical twist using papaya, for the south-of-the-border vibes we’re all craving this time of year. 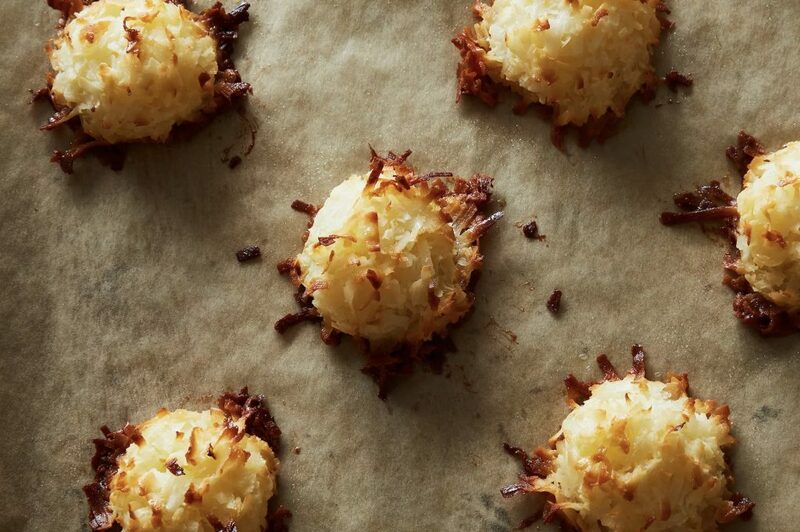 It’s a nice way to change things up on the dessert table if you usually make basic macaroons. Or, basic hamantaschen for that matter.